You have an old computer and it is very slow. A lot of people will tell you that you need a new one... WRONG! A computer is very comparable to a motorcycle: If you ride at speed limit, you certainly don't need a Suzuki Hayabusa with 150HP capable of 300km/h. What you enjoy is the torque of the k bike and its ability to accelerate from let say 30 to 120Km/h on the 5th gear without any knocking or hesitation. The speed of the computer processor can be compared to the Horse Power of the engine and the speed of the hard disk can be compared to the torque. Most people using ultra fast computers are only using a maximum of 5% of the available power. This afternoon I did some experiment with an old Toshiba Tecra A10 which has an Intel Centrino 2 processor (At least 10 years old) and only 2 Gb of memory. After loading Windows 10 + all common applications, it took close to 5 minutes to boot up and be ready to work. Even then, the computer was sluggish. I then back it up and reloaded the backup on a 250 Gb Solid State Disk which cost only (USD) $70. Whoooaaaa! Before the update, the computer had the performance of an old 1969 Volkswagen beetle and now it's running like a 2015 Lamborghini. It now takes only less than 10 seconds to boot up and be ready for work. The $50 10 years old laptop is now almost as fast as my latest HP Elitebook (latest I5 processor) which cost about $1,400 in Canada. Don't listen to sales people about buying a new computer! You must look at this option if you are considering an upgrade. If anybody else has experience with Solid State Hard Disks, please let us know about the performance and your experience. I tried Hybrid drives which is a mix of old technology and new one, but there is no comparison with the solid state one. By experience (all my computers have SSD drives), I strongly recommend Crucial or Samsung drives. Stay away from the generic names as they are far less reliable. One more thing.... As the solid state drives are only electronic chips and don't have any moving parts, the battery on a laptop will last a lot longer. AND... If you drop your laptop on the floor, you have far less chances to crash the disk. By the way, I just retired after working for 20 years as an IT supervisor. I kind of know what I am talking about. I just like to share my experience with you and save you money. My gaming PC is all SSD (250Gb, 500Gb and 1Tb) but then the m/b, CPU, graphics card and RAM are all pretty fast too (not top end). Time to boot is less than ten seconds. Going SSD has let me run some games with maximum settings on a PC that otherwise shouldn't be able to do it. That machine also has two backup data drives that are normal HDDs. My backup PC also has normal HDDs, but then you don't need speed for storage, just reliability. SSDs are still pretty expensive but month by month you can see prices starting to tumble as more people buy them. On a non-gaming day-to-day basis, I also use my gaming PC for programming. A very large C-language project used to take almost a minute to compile, but since the development drive got swapped for an SSD the compile time has dropped to about five seconds. That some improvement! Bert's right about SSHDs (hybrid discs). I have one in my work laptop and I've never detected any difference in speed between that and the previous laptop with a standard HDD in it. That's a great idea--thanks for sharing, i'm going to look into an SSD for my little box. i have an old linux pc that has run for many years without stopping except for a long power outage in 2011 that exceeded my UPS. It is as dependable as your grandmother's old refrigerator from the 60's. I have to say that I had access to all the latest technology when I was working, and the improvement made by the solid states drives is what impressed me the most over the last 35 years. It's true that reading perforated ribbons is a tad slower than reading a SSD but can you believe that when the K100 was built we still used this technology to save computer data? How many of you can read them? I don't... I forgot. Oh, please paper tapes were history by 1985. It was all 80 character cards and magnetic tape by then. I put a SSD in my old Asus netbook and very tweaked 8.1 for performance. It does OK, actually a little better than the XP that came on it. But it still only has an Atom processor so I just use it for email in the garage. I also switched all of my laptops and my desktop "server" to SSDs for the OS and programs. They boot and run pretty quickly. 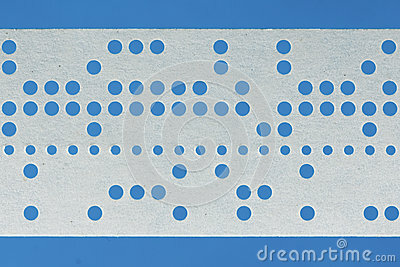 The smaller holes are paper feed holes, and (I think) that Octal code is used with even parity bits??? I remember at Sydney Airport as a radio trainee in the early 70s, I was assigned to the teletype group for a while...mainly used for international messaging...Bert's snap of the paper tape looked familiar. Too old for me (just!). I started on a DEC PDP-90 and it all went downhill from there. I already received a PM asking questions about upgrading an old laptop with an SSD drive. Yes it work, but you have to consider which Operating System you are using. As these drives are made of memory chips (Nands), they use a built in function of Windows 7 and up call trim. Trim allows an operating system to inform a solid-state drive (SSD) which blocks of data are no longer considered in use and can be wiped internally. The trim function doesn't exist on Windows XP (too old) and the computer should be updated to at least Windows 7. SSDs should not be installed with Windows XP as the performance will degrade rapidly. Windows 7 and up will detect a SSD drive and will automatically set the trim option. If you use Free Macrium reflect backup software, to backup and restore your original disk to a new SSD, Macrium will automatically set the trim option during restore. Historically, Mac OS X has only enabled TRIM for the solid-state drives Apple provides ( ). Users who installed their own SSDs had to hunt down third-party tools that enabled TRIM in an unsupported way. Hope this clears up some of the questions about SSD and different OS(x). I updated my Dell Duo (atom processor) with an SSD and Windows 8.1 , what a difference. My sons laptop failed and he started using this machine. On the way home from college on the bus one day he told me he got a virus - his virus turned out to be Windows 10 !! Yeah well; he wasn't far wrong! @Dai wrote: Yeah well; he wasn't far wrong! Gee you all sound like you know what you are talking about. How about a 2006 Compac laptop running Vista? Does the SSD go inside the PC or plug in and if so what does the inside bits do when not being a HD? can it be converted to make the PC run faster? @K75cster wrote: How about a 2006 Compac laptop running Vista? 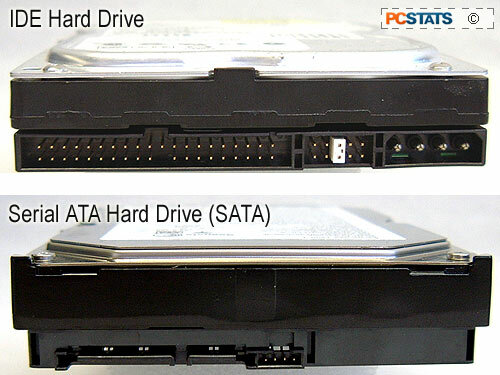 If the original drive has a Sata interface, the laptop drive could be replaced with an SSD but Vista would have to be upgraded to windows 7. The cost of the upgrade to Windows 7 makes this option not really money wise. I just look at Ebay Australia, and you could get a decent laptop already loaded with Win 7 for about $100 (see example here). I have one of these laptop and they are pretty decent computers. As this model is a business class computer it just doesn't have a builtin camera. Ok thanks for that, we'll call the 06 Compac Vista combo as if its XP. So it will just be the PC in the shed with all the old stuff on it. Cheers. I haven't used it to log in since maybe 2012? all good though.